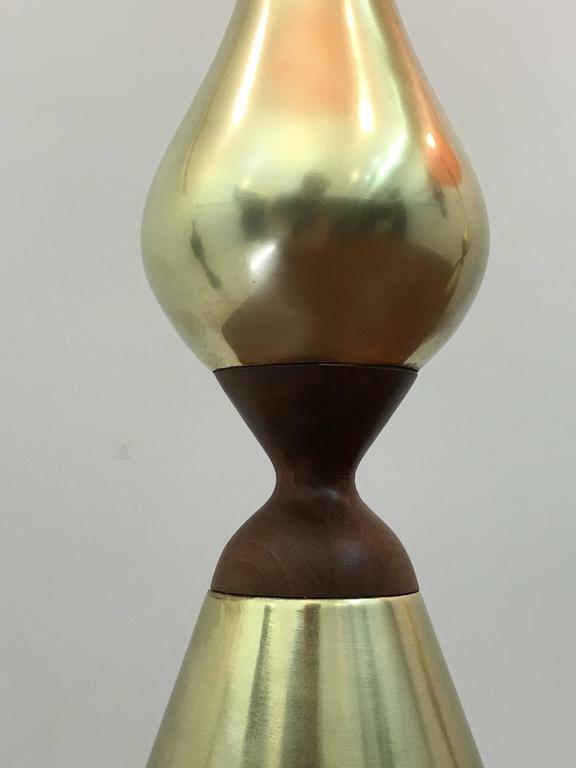 Tony Paul for Westwood circa 1955 Brass, walnut. Measure: 41" tall, 6" width. light switch is located at the 25.5" mark. Lamp shades not included. 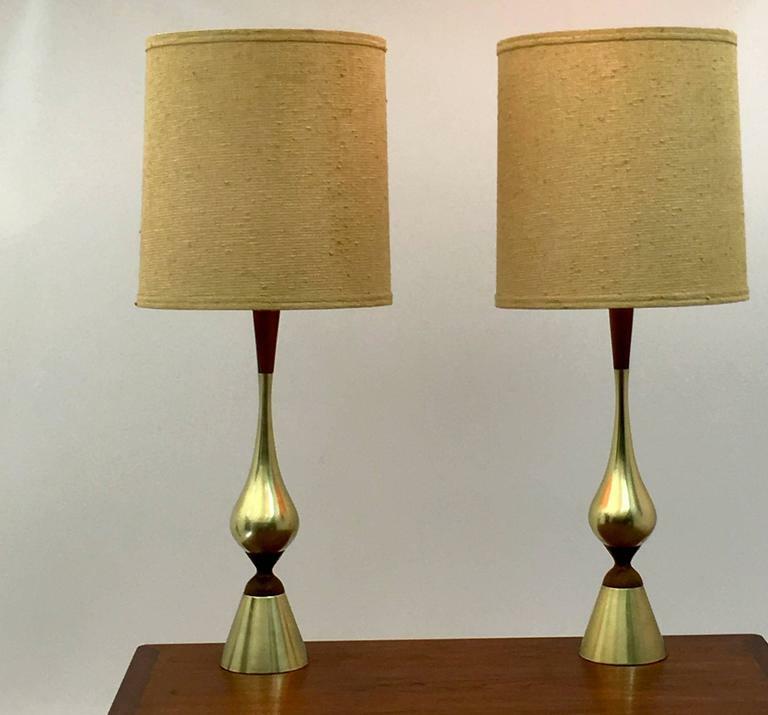 Exceptionally elegant and well designed hourglass shaped, these beautiful table lamps by Westwood Industries was produced, circa 1955 and likely designed by Tony Paul. 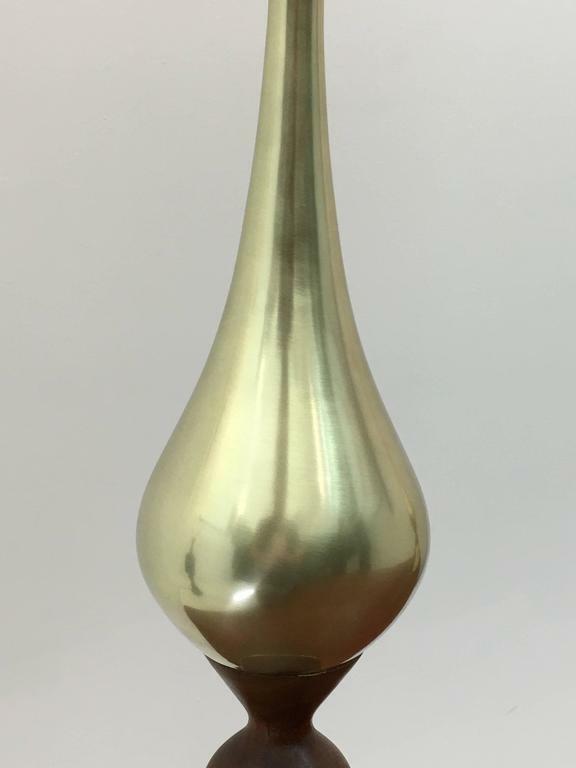 More appealing than the shape of the lamps alone is the negative space they produce which suits the presence of decanters and vases decor accent items that gives all objects even greater appeal. 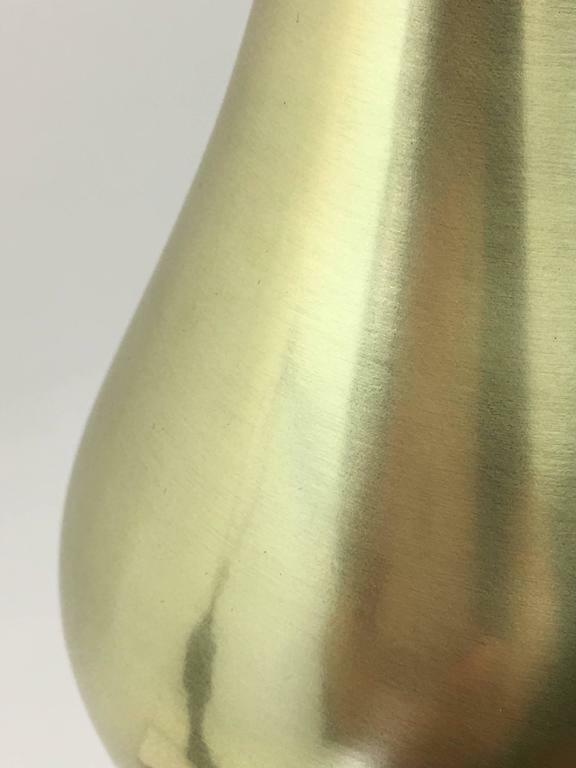 Unlike most lamps of the era, the brass components of the vessel are all-brass rather than coated with finishes that resemble brass, so they have substantial weight and quality that is uncommon. The lamp shades are not included with this listing. The condition is excellent for the pair. Excellent condition throughout. All wiring checked and perfect working condition. 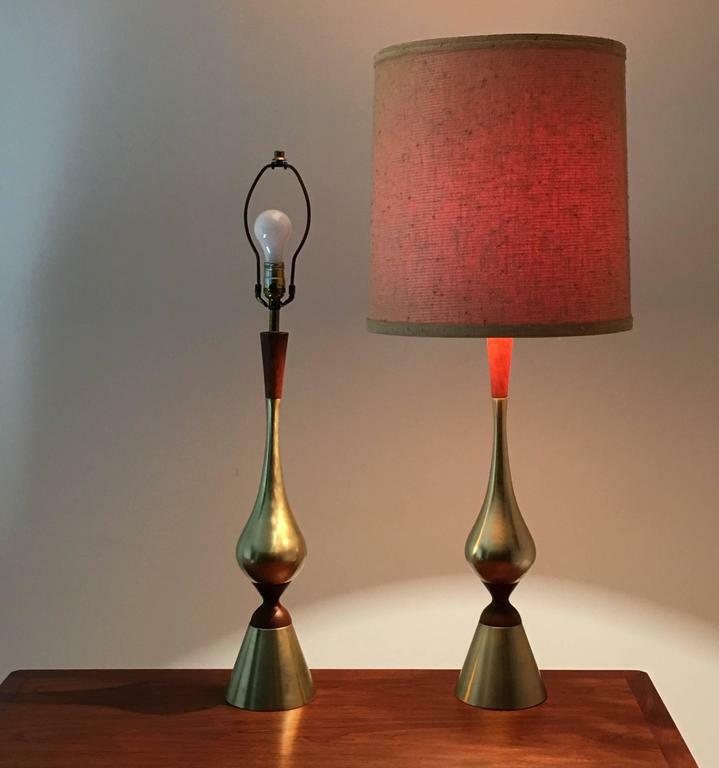 Pair of Tony Paul for Westwood Lighting walnut with brass table lamps. Measure: Body of lamp approximate 23" tall and 7" diameter. 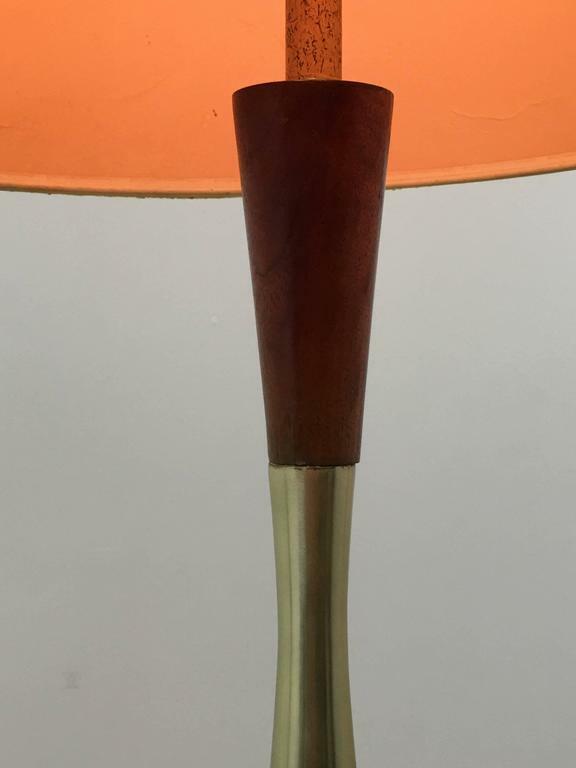 Lamp bases only, no included shades, and rewired. 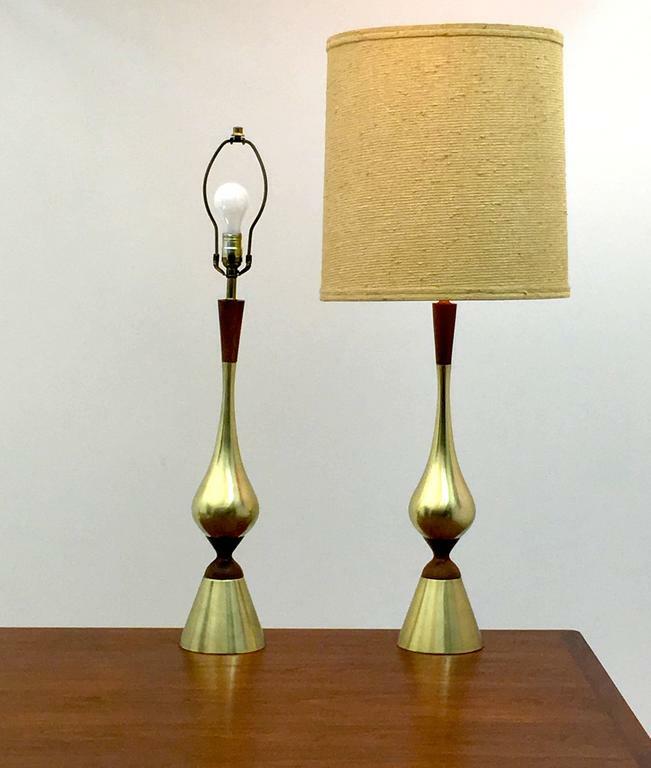 Vintage set of accent lamps designed by Tony Paul for Westwood Industries. 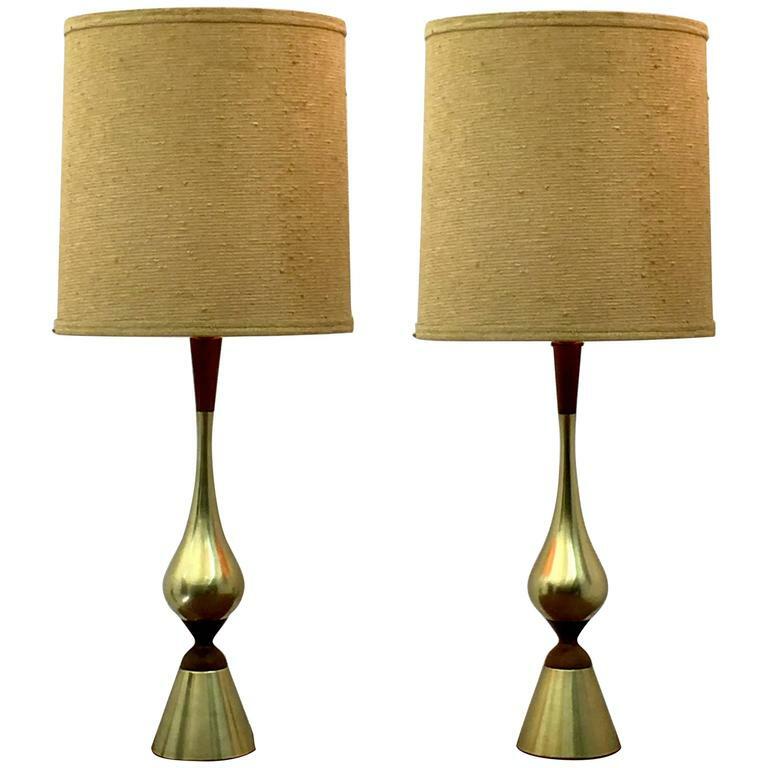 This pair features a tall walnut sculptural design with a white enamel centre rod. Price is for the pair. 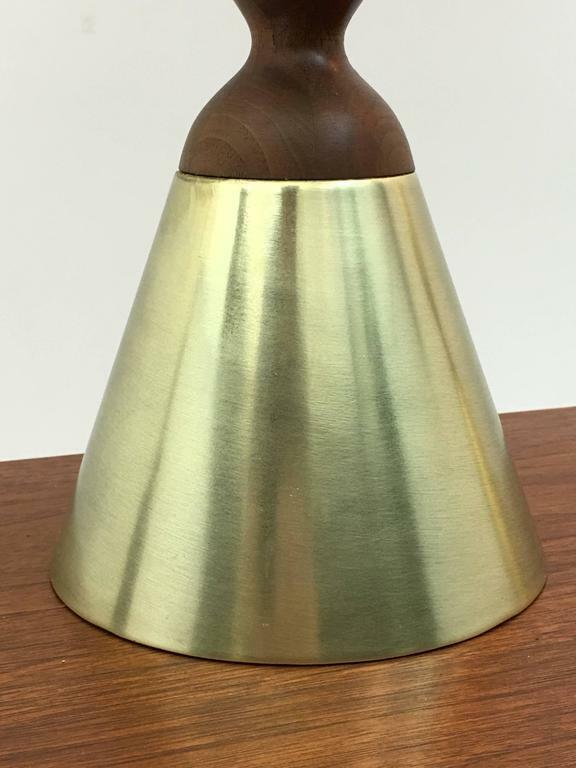 Pair of table lamps by Tony Paul in brass and walnut. To be on the the safe side, the lamp should be checked locally by a specialist concerning local requirements.